Like a civilian 401k retirement plan, the federal government’s Thrift Savings Plan has not seen changes to the plan’s contribution limits in years. The contribution limits for 2011 remain unchanged from their 2010 levels. Members of the military and government civilian employees can make regular employee contributions to TSP up to $16,500 in 2011 assuming that they are under the age of 50 years-old. If the service member is over the age of 50, then he or she is eligible to make an addition contribution. The regular TSP contributions are made from a Soldier, Sailor, Airman, or Marine’s basic pay before taxes are withheld. A member’s TSP contributions will stop automatically when they have reached the contribution limit. Catch up contributions are available to plan participants who are age 50 and older. To make catch-up contributions, you must first contribute the maximum amount of your regular employee contributions during the year and then elect to make catch up contributions. A plan participant who is over the age of 50 can contribute an extra $5,000 per year to the retirement plan. Military members serving in a tax-free combat zone are allowed to contribute up to $49,000 to the Thrift Savings Plan. This amount includes regular contributions, tax-exempt contributions while serving in combat, and contributions from any special pay and bonuses earned. If a member of the military contributes combat zone pay that is excluded from taxes, the service member is allowed to put significantly more money into the TSP account than the normal contribution limit would permit. This is a great deal for a service member if they can afford to contribute that much. 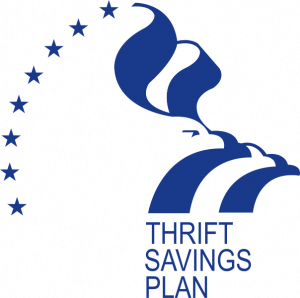 If you have any specific questions about the Thrift Savings Plan’s contribution limits, you can find specific answers on the Thrift Savings Plan website.